Much to my amusement, I found out that the local newspaper, the Schwäbisches Tagblatt, picked up on our press release and published a nice little story. The title “Räubuerischer Schlund” translates to “Predatory Mouth”, referring to the toothy mouth Pristionchus pacificus uses to puncture its prey. Pretty cool! 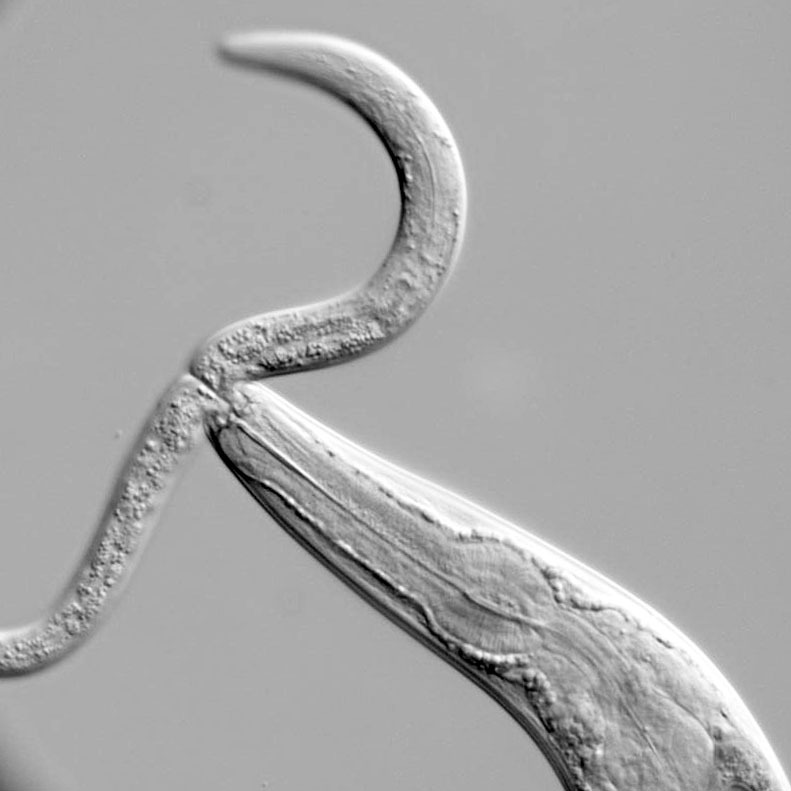 The image on this post is the same one used in the press release, and shows P. pacificus chomping down on C. elegans. Click HERE for a link to the article. It’s in German, so if you need to you can have a look at it in google translate. Comparative Connectomics paper is out! Reconstructing neurons from thousands of images is typically a very dull, repetitive and labor intensive task. Some would say that the long periods of monotony, broken by occasional excitement caused by an unexpected discovery, is enough to drive you insane. Yet it is how I spent much of my time. 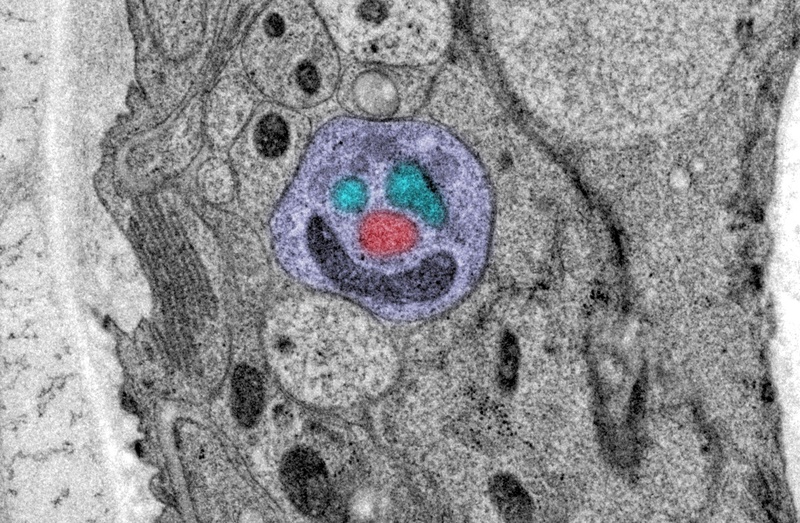 Either because I have gone crazy or more likely out of a need to amuse myself with the task I have started to notice faces in the micrographs. This is not all that surprising really. As humans we are really pre-programmed to recognize anything that has the same proportions as a face… all we need are two dots for eyes something that looks like a mouth in the right places. As mitochondria are typically tube shaped they can very easily substitute for a mouth or a pair of eyes in an image, so most of them time these are what construct the features of the face. Sometimes, the inner membranes of the mitochondria even stain in such a way as to resemble teeth in the mouth! Perhaps it is a reflection of optimism that the vast majority of faces that I notice are smiley faces. For anyone that is amused, I’ve started collecting them and have uploaded them to a Flickr gallery. Click HERE for the link!